Powdery mildew on currant manifests as a whitish gray coating on young shoots, leaves and even berries. And if time does not take action, the Bush dies. There are several ways, including folk, anti-mildew. Powdery mildew is a fungal disease, caused by the fungus parasite, which affects not only red and black currants, and gooseberries. First, the shoots and the leaves appear whitish plaque, he soon becomes brown and deformed shoots, leaves curl, lose color and gradually fade. Amazed and berries, they are still green fall off. The fungus overwinters in plant debris and plant in the spring it starts to produce spores that infect close-growing shrubs. Especially, the disease spreads in warm wet weather. And if left untreated currants, it dies. Get rid of powdery mildew you can, if you combine the methods of treatment and prevention. In the fall be sure to trim the bushes, rake the fallen leaves and burn it all. Additionally, in the fall or early spring process the currants and the ground under it 5% solution of copper sulfate. In the summer should spray the bushes, at this time, fungicides, for example, there are such effective drugs as "Topaz", "Thiovit jet Kolodny sulfur, etc. Also a good helping of traditional methods. These include spraying the affected currants with a solution of soap with the addition of copper sulfate ( 10 liters of water 100 grams of soap and 5 g sulfate), infusion of wood ash with soap ( for 10 l water 1 kg of ash and 100 grams of soap), infusion of manure or rotted hay. The last recipe, you can cook it this way. The capacity to put one-third rotted hay or manure, to condense, to fill with water and allow to infuse for 3-4 days. To 1 part infusion take 10 parts of water, add a little soap and sprayed currants in the morning or evening. 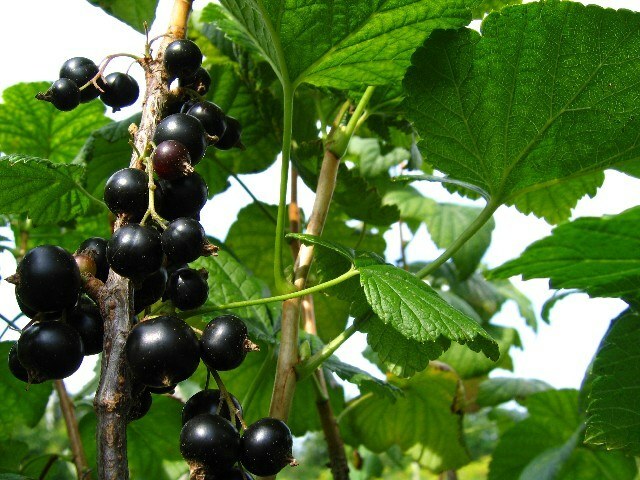 To avoid this disease, grow on your plot of varieties of currant, resistant to powdery mildew. This "Dove", "Agat", "Belarusian sweet", "Bagheera", "Fancy", "Black pearl" etc.